It seems fitting that I recently came across this quote from one of my most favorite artists, Frida Kahlo: "I paint flowers so that they will not die." Friday is the fourth anniversary of our son's passing. Owen was undeniably my greatest teacher. Every day of his short, six years, he reminded us to love fiercely and to live in the present. To not be afraid to take risks, follow our heart and speak our truths even when those truths are raw and expose us to vulnerability. He taught us to not take anything for granted. And to remember that each and every one of us has something unique to contribute to the world and when we're able to look beyond ourselves, and compassionately at others, the most important lessons, which are often so simple, are so boldly and beautifully right before us. That is what this farm is for us. A reflection of these lessons. 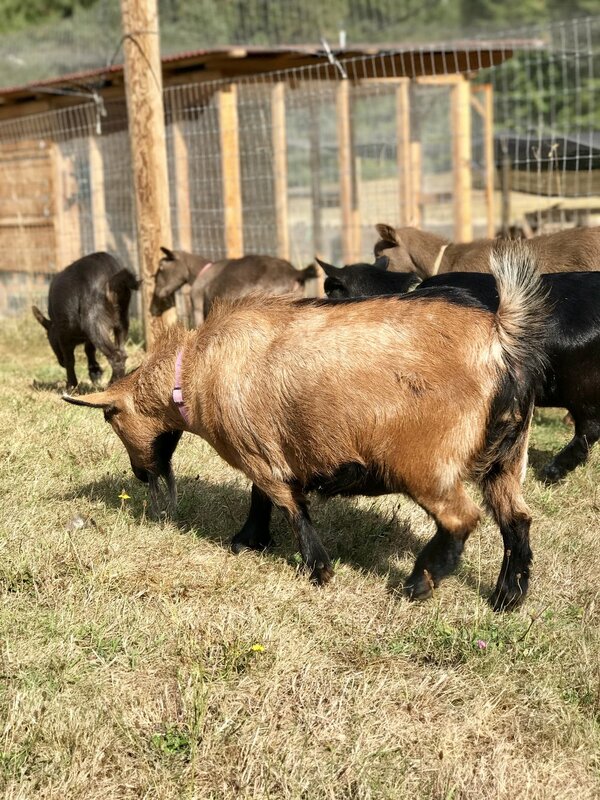 Part of our mission for this space includes graded paths, friendly farm animals, wheeled access into agricultural and forested areas. Meaningful opportunities for children and adults with social, economic, intellectual and/or physical needs and challenges, to engage this space. The earth has an incredible ability to heal and having access to these dynamic, sensory-rich facets of rural life affords a depth of experience that many, my stepfather (a former Iowa farmer who now relies on wheels of a different sort) included, ache to have but cannot. We continue to be humbled by the land and the physical work required to complete the many projects which we hope will further add to the character, vibrancy and accessibility of this space. My husband, who enjoys his role as the "silent partner," shows up, time and time again, with an energy and passion that is contagious and truly inspiring. After a long day of work (our first collaboration which we launched fifteen years ago), he changes into dirty farm clothes from the day before and starts back in on one of our many ongoing projects. Rain or shine. We will continue to do most of the work here ourselves (rain or shine), with occasional help from family and friends which we're always so grateful for. The work here is an opportunity to learn together, grow together and cultivate humility together. Elliot has become a pro at splitting and stacking wood... A humbling chore for most of us. Oh my, GOATS! We are completely smitten with our newest additions to the farm. 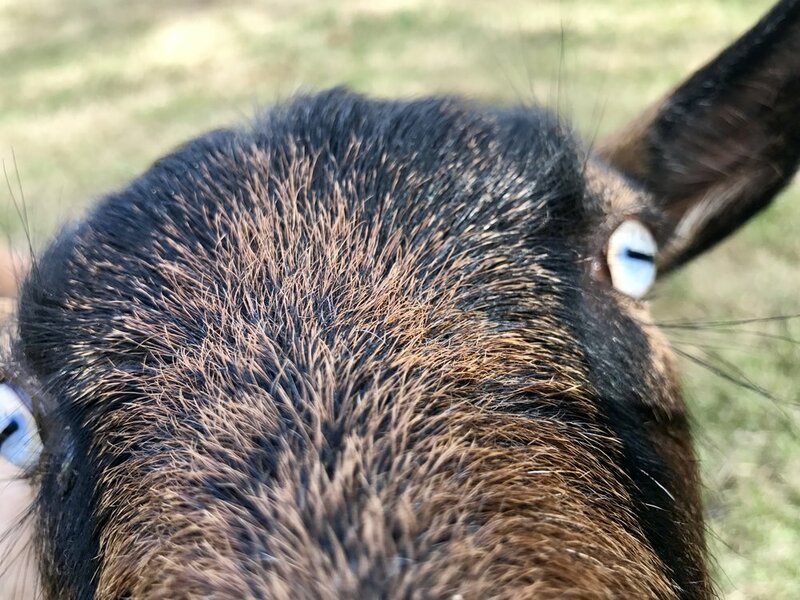 Our five dairy goats are fun and playful and social and regularly charm visitors of all ages who hug and pet them as though they were dogs. 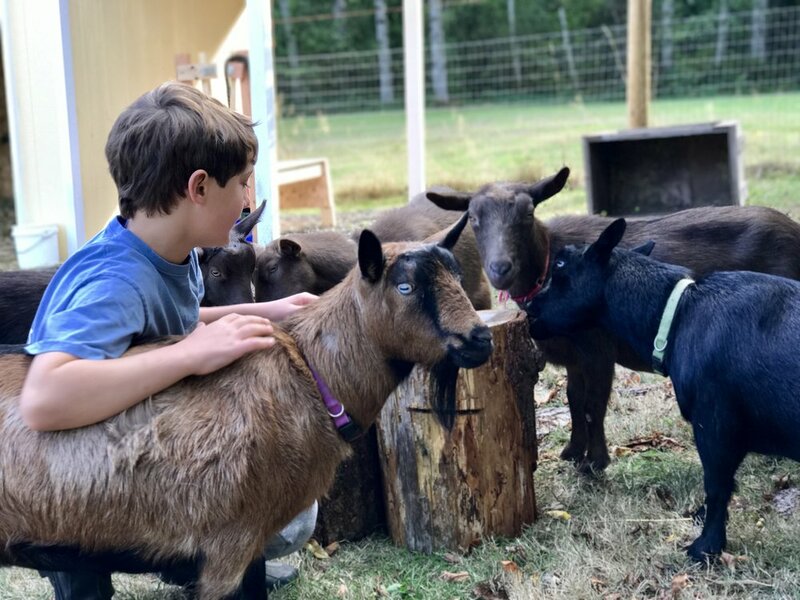 (Thanks you, Alyssa and Justin, for raising and sharing these amazing goats!) I call out to them each time I cross the backyard and without exception, they call back in unison with their soft bleats. I love them. I'm unsure how I lived without them for so long. The herd will have an opportunity to further shine here on the farm when we host a group of grade school students with unique abilities in late October. Our first of many groups, we hope. This is truly a dream come true for us as we are intimately familiar with the ways in which animals are often blind to what humans perceive as differences and are able to unconditionally connect with people in ways that, for many, clears a path to their deeper senses. Our new farm dog, Rusty, loves kids and adults and everything that moves and breathes. He also loves to counter-surf in the kitchen and clean up leftovers when his humans are otherwise preoccupied with projects outside. He especially loves to snack on goat poo. I tell visitors that he might want to take a hand to show you around but don't let him kiss you on the mouth. Good advice for many occasions, I imagine. The pasture has been seeded for winter with clover as a cover crop and the greenhouse is built. The goats have a new loafing shed and we've begun the process of cleaning up the historic barn with the hope of having this as a small yet beautifully unique event space by next Spring. The images below are a brief photo overview of our last few months. The fatigue in our bones tells a more significant story. We're grateful for the shorter days, rain, heat in the wood stove and an opportunity to afford ourselves a bit of quiet. Just a bit. While I'm not a painter, I've long loved growing flowers. In reflecting on the events that brought us here, our growth as a family this past Spring and Summer and on this current season of death, decay and transition, I've come to realize that flowers are a way for many of us to physically manifest, in a vibrant form, a passion and joy for life and love.